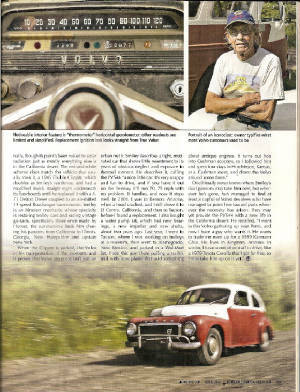 If your classic was featured in a magazine or newspaper, submit the article and pictures to Betsy sennasylum@npgcable.com so we can brag about it to the whole wide world!! 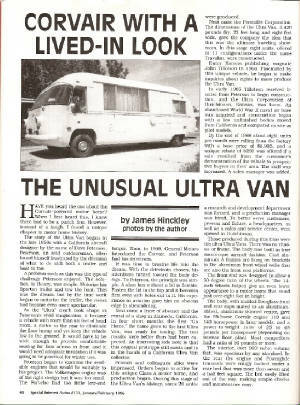 Leo & Betsy's 1967 Ultra Van was featured in Hemmings Special Interest Autos Magazine in February 1996. 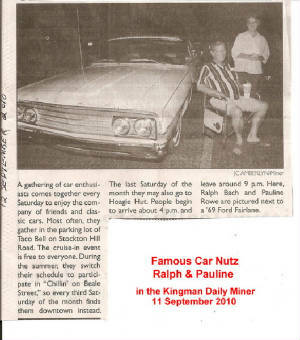 The Article was written by our very own local Car Nut and Historian, James Hinckley. 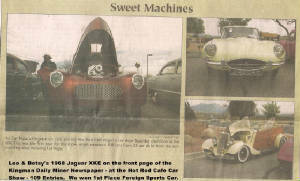 Leo & Betsy purchased this prize possession in May 2003 from its 3rd owner right here in Kingman. 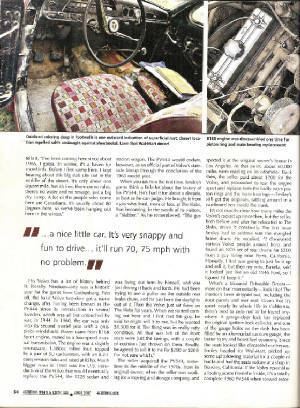 Another classic of Leo & Betsy, that was also featured in Hemmings Sports & Exotics Magazine, is their 1960 Volvo PV544. 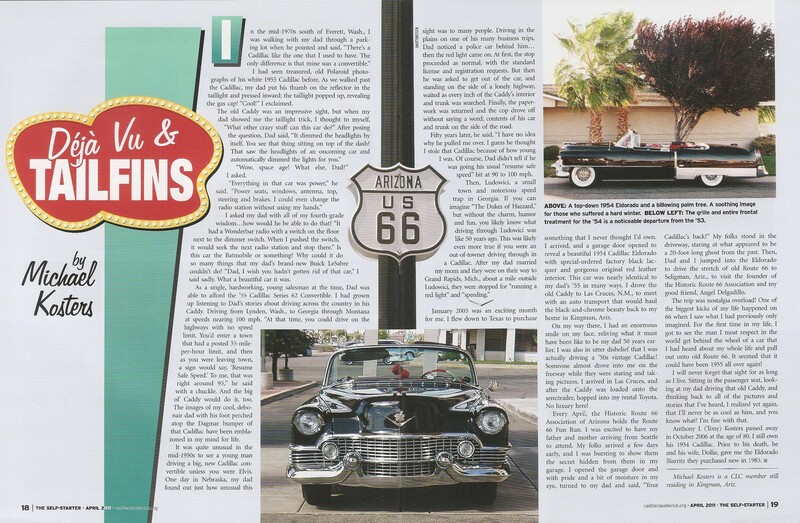 Mike Koster is the proud owner of this beautiful 1954 Cadillac. Mike wrote the article, took the photos - including the cover - out at Kingman's Cerbat Golf Course. 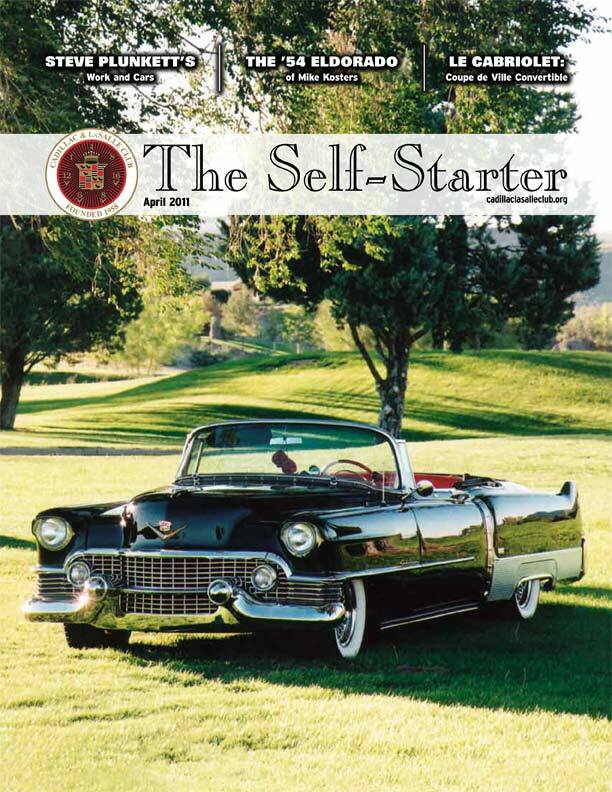 Circulation of "The Self-Starter" is throughout the US, Canada and Europe. 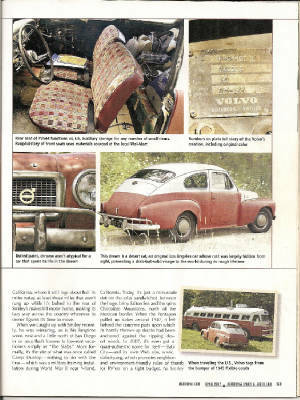 Leo & Betsy's 1960 Volvo PV544 was featured in Hemmings Sports & Exotics Cars Magazine in the April 2007 issue. 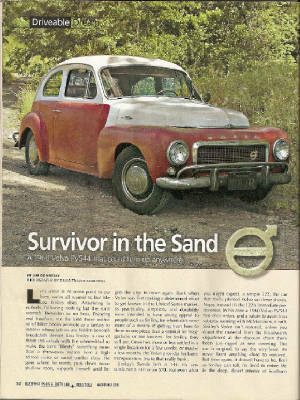 They traded their 1958 VW Karman Ghia for the Volvo from Lou Smiley, a VW Nut from the Saltan Sea in California. 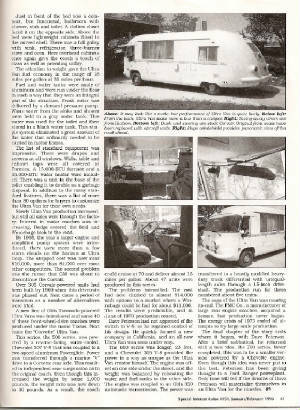 Another Classic of Leo & Betsy that was featured in Hemmings Special Interest Autos Magazine in February 1996, is their 1967 Corvair-Powered Ultra Van motor home.